Kevin R. Yeanoplos, CPA/ABV/CFF, ASA - Brueggeman Johnson and Yeanoplos P.C. Kevin R. Yeanoplos, CPA/ABV, ASA is a Shareholder and the Director of Valuation Services for Brueggeman and Johnson Yeanoplos, P.C., a firm with offices in Seattle and Tucson that specializes in the areas of business and intellectual property valuation, financial analysis and litigation support. Kevin is also one of the founders of YS Advisory Services, utilizing his extensive experience over the last 35 plus years in advising professional service providers and their clients on strategic planning and management issues. 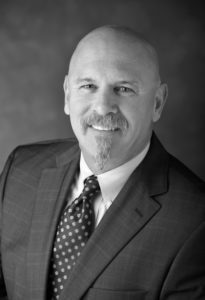 Over the last four decades, Kevin has assisted clients around the country with the valuation of a diverse array of intangibles including patents, trademarks and song catalogs to name a few, whether it be for divorce or other litigation, financial reporting, gift and estate taxes, mergers and acquisitions or ESOP’s, among others. The diversity extends to Kevin’s extensive business valuation experience, with a partial client roster that includes high tech companies, aircraft parts manufacturers, biomedical companies, construction companies, professional practices and automobile dealerships. As both an expert witness and court appointed neutral in state and Federal courts across the country, Kevin has assisted triers of fact in understanding a variety of complex valuation, financial analysis and damages issues. A popular and experienced presenter, Kevin frequently lectures throughout the United States on the topics of valuation, applied finance and financial analysis, including presentations to the Federal Bureau of Investigation, the American Institute of Certified Public Accountants (“AICPA”), the American Society of Appraisers (“ASA”), the State Bars of Arizona and Utah, and many other professional organizations. He has been a faculty member for the AICPA’s National Business Valuation School for close to 25 years and is currently on the faculty of the National Institute for Trial Advocacy. An accomplished author, Kevin has contributed to Valuing Professional Practices & Licenses, Forensic Accounting in Matrimonial Divorce, Financial Valuation: Application and Models, Guide to Personal v. Enterprise Goodwill, and Reasonable Compensation: Application and Analysis for Appraisal, Tax and Management Purposes, among many others. He is currently lending his editorial skills to the Financial Valuation and Litigation Expert and the Business Valuation Update as a member of their respective editorial boards. Throughout his professional career, Kevin has volunteered his time and talents to give back to the public and his profession, including prior service as a Commissioner on the AICPA’s National Accreditation Commission, Chair of the AICPA’s ABV Credential Committee, Board Member of the Arizona Society of CPAs and Chair of the Arizona Board of Appraisal among others. He is currently serving as a Commissioner on the Arizona Commission on Judicial Performance Review, appointed by the Arizona Supreme Court. The AICPA honored Kevin’s contributions by naming him their 2006 Business Valuation Volunteer of the Year and inducting him into the AICPA Business Valuation Hall of Fame in 2010, recognizing fewer than 30 individuals whose lifetime achievements and contributions have significantly advanced the valuation discipline and have enhanced the valuation profession for CPAs.